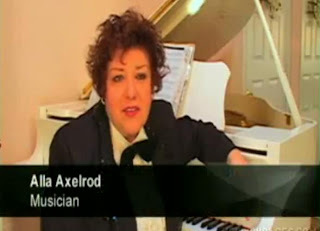 Alla Axelrod is a New Jersey-based pianist who composed and performs a hilarious send-up of Barry Manilow's "I Write the Songs" called "I Own a Deli, I'm a Jew". The combination of her Russian-accented voice and the funny slides will have you watching over and over, and sharing the video with your friends. 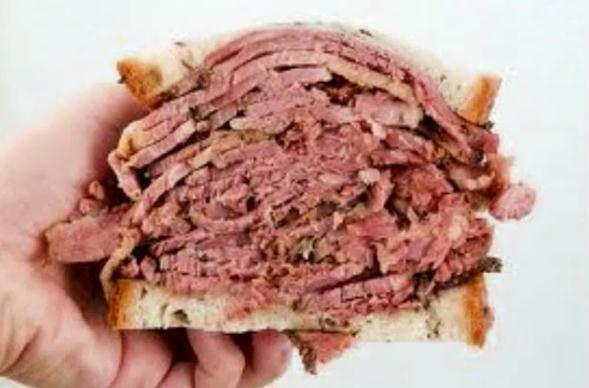 And it will probably send you to your local deli to order some overstuffed corned beef and pastrami sandwiches with matzo ball soup. Alla's talent extends beyond song parodies. She performs at cocktail hours, corporate events, bar and bat mitzvahs and weddings. She holds an MA in Piano, Composition and Music Theory/History and has been entertaining on American stages for the past 30 years. Her repertoire is vast and impressive, including over 1000 songs, varying from Classical, Jazz, Ragtime, American Standards, Broadway, Oldies, International Favorites, Blues, Rock, and Movie Tunes. Here is the video of "I Own a Deli," followed by a video of Alla introducing herself with a brief biographical sketch. Just in case you don't remember Manilow's original version of "I Write the Songs" we found a clip of it on YouTube and here it is for you to enjoy again.